Charlotte Forster, one of the talented librarians who has long greeted visitors and provided cheery helpfulness to patrons of the North Tillamook Library, is retiring. Charlotte’s last day is May 18 and her service to the community will be celebrated with an open house at the library from 12:00 to 5:00 pm. Please stop in to thank Charlotte and wish her well in retirement. We have many gently used books and new opportunities to find classic fiction and staff picks. The sale is a fun albeit labor-intensive effort. 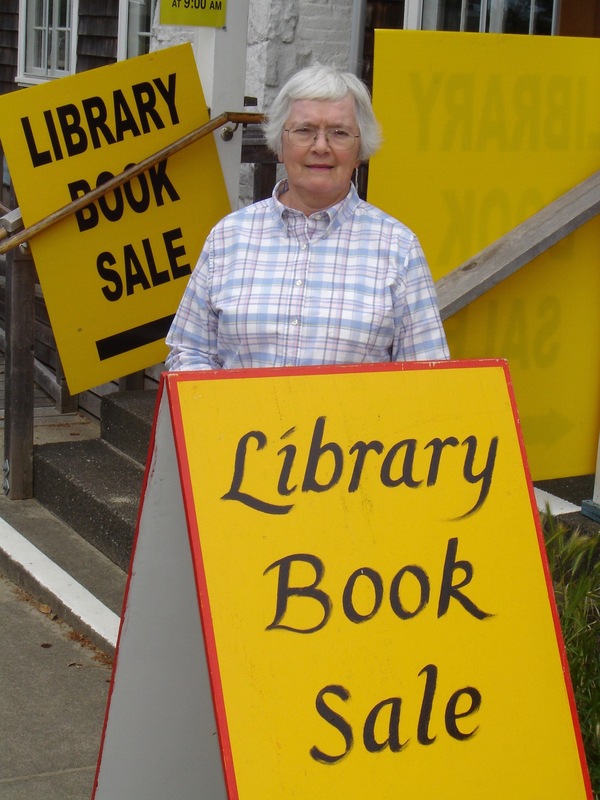 Thanks to our book sale coordinator Ann Morgan for her superb organization – again – of this important event and thanks as well to all who volunteer to make the sale a big annual success. While it is too late to donate books for this year’s sale, if you would like to volunteer and haven’t been contacted, please contact Linda Petersen – petersen1019@gmail.com or Mark Kuestner – mkuestner10@gmail.com. We have a real need for people to help move books and materials either Thursday morning, May 24 or Friday morning, May 25th. As an added bonus, volunteers have the opportunity to buy up to 5 books before the sale. It is also a lot of fun. The sale takes place at two locations – the Hoffman Center for the Arts and the Pine Grove Community House. New to the sale this year are Manzanita Library tote bags for just $20. The stylish bags, large, canvas and with adjustable straps, water bottle pocket and room for books or beach supplies, will be available at both sale locations. “Writing About Place: A Journey into Travel Writing,”a free writing workshop at the library featuring award-winning author Midge Raymond, will take place from 12:30 pm to 2:00 pm on May 19. The workshop is for readers, writers and travelers and offers a journey into reading and writing about place. Midge Raymond is the author of the novel “My Last Continent” and the award-winning short-story collection Forgetting English. Her work has appeared in TriQuarterly, American Literary Review, Bellevue Literary Review, the Los Angeles Times magazine, the Chicago Tribune and Poets & Writers. Raymond has worked in publishing in New York and taught at Boston University. She has also published two books for writers, Everyday Writing and Everyday Book Marketing and is co-founder of the boutique publisher Ashland Creek Press. Participants are encouraged to bring a pen, notebook or laptop. Acclaimed travel writer Paul Theroux is out with a new collection of essays, Figures in a Landscape: People & Places, and he recently talked about some of the books that have been important to him. Not surprisingly they are all travel adventures. Here’s a link to the list. Living Room Realty (LRL) chose North Tillamook Library Friends as its first non-profit beneficiary of a program initiated by Sarah McBee at the Portland office of LRL. Local brokers Darcey Kline, Dave Leach, Tosha Reinmiller and Hans Tonjes selected the library for the honor and have donated $50.00 per transaction for the past year, March 2016 through March 2017, to NTLF for a grand total of nearly $6,000 ($5,950 to be exact). A ballot measure that would continue the current levy that supports operations of all Tillamook County libraries, including the North Tillamook Library in Manzanita, will be on the May election ballot. Learn more about the measure at the county library website. Ballots begin arriving to Tillamook County registered voters soon. Come to the library on May 18 or 20 to get answers to all your questions about leaving a legacy. Do you think you know everything but want to learn what’s new in estate planning and what changes may be coming? Then, come to the library on May 18 or 20 to learn things you need to know to be up to date. Steve Brier will host an informal session on estate planning for Friends of the North Tillamook Library. Duplicate presentations will be on May 18 at 7 p.m. and May 20 at 2 p.m. Everyone who loves the library and everyone who wants to leave a legacy in the smartest way possible will find Steve’s presentation to be eye opening, easily understandable, and fun. Steve has been the Director for Gift Planning at the Oregon State University Foundation since 2014. Before that, he was Director for Gift Planning at Willamette University since 2001. From 1987 to 2000, he practiced law primarily with the Stoel Rives in Portland. 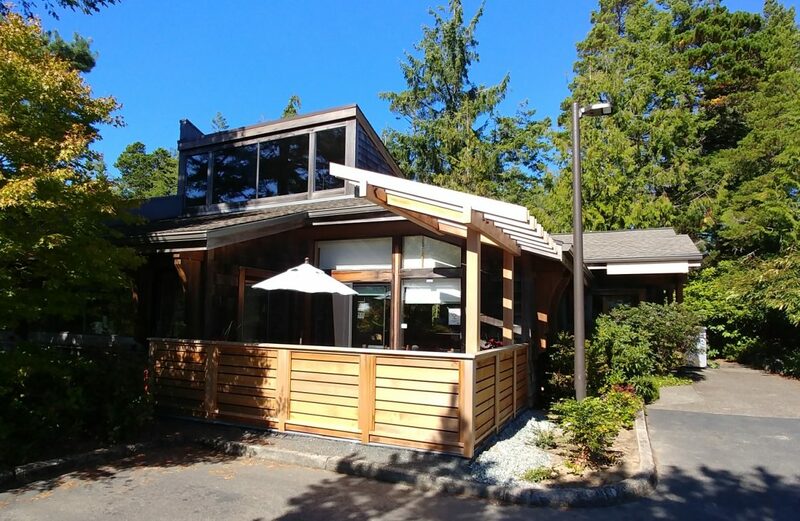 Steve and his wife, Barbara, are part-time Manzanita residents. Steve loves the library and wants other library lovers to appreciate the many rewarding ways to help make the library better forever. 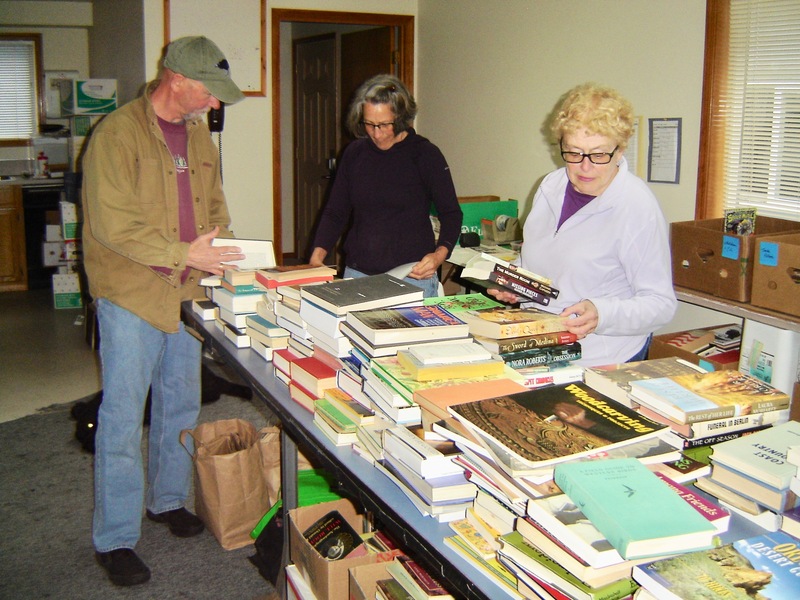 “It’s a year-round proposition,” says Friends’ volunteer Michael Maginnis of the book sorting effort that leads up to the library’s annual Memorial Day weekend book sale. Maginnis should know, he’s headed up the effort to transport donated books for the past three or four years, taking over for longtime “Friend” Mark Beach who was involved with the project the better part of 15 years. On any given Wednesday when there are books to be sorted, the vacant house, owned by the city and next to the old Manzanita Fire Station, is a beehive of activity. An army of more than a dozen volunteers takes turns sorting books. Not everyone shows up every week and that’s probably just as well with all the books that are stored in the house. With the book sale over a month away, 250 boxes of books have been sorted and are ready to go. Volunteers, says Maginnis, will be working almost up to the last minute in preparation for this year’s sale scheduled Friday, May 26 and Saturday, May 27. The Friday evening sale, from 5 to 7 p.m., is for members of the Library Friends only. The Saturday sale will be from 9 a.m. to 4 p.m. at both sites. This day the sales are open to the general public. Fiction, children’s books, and audio and video discs will be available at Pine Grove. Non-fiction books will be at the Hoffman Center for the Arts. In addition to Michael Maginnis, a tip of the hat and many thanks to these unsung book sorters: Sally Vanebo, Janice Levesque, Susan Reinhardt, Kathleen Moore, Terri Zolka, Laurie McCray, Marcia Silver, Gloria Gostnell, Mary Ruhl, Karen Babbitt, Kaleen Wineinger, Tela Skinner, Peggy Christensen and Isabel Beaton. If you are an established or aspiring writer, the North Tillamook Library in Manzanita has an exciting day planned for you. On Saturday, May 6, 2017, the library will host the first workshop from 10 a.m to 12:30 p.m. It is called “Writing the Personal Essay” and is part of the 2017 Oregon Book Awards Author Tour Event. Martha Grover will be the instructor and will guide participants as they explore writing exercises designed to motivate and inspire new writing techniques. The workshop is free but space is limited. To register, please email susan@literary-arts.org or call 503-227-2583, ext 107. The second event, “How to Tell Your Personal Story”, begins at 1:00 p.m. does not require pre-registration. It is presented by award-winning speaker and trainer Gideon For-mukwai. Gideon calls himself a Story Warrior and will present a touching and inspirational message to inspire participants to tell their own stories and become story warriors themselves. Both events will be held at the North Tillamook Library, 571 Laneda, in Manzanita. For more information, call Bill at 503-842-4792, ext 1709. 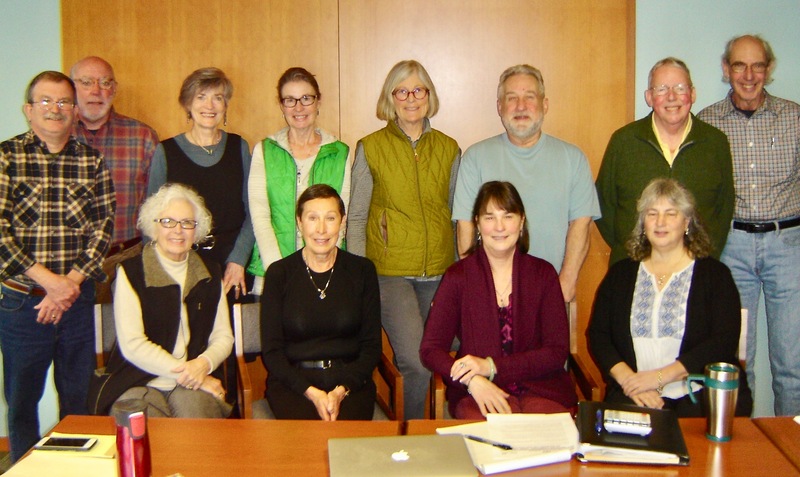 Board members took time to pose for a photo at a meeting of the board in March. Seated, from left: Becky Berg, Madeline Olson, Monica Isbell and Jo Newhouse. Back row, from left: Dave Fisher, Marc Johnson, Gail Young, Trish Johnson, Karen Babbitt, Lee Hiltenbrand, Tony Johnson and John Hanby. 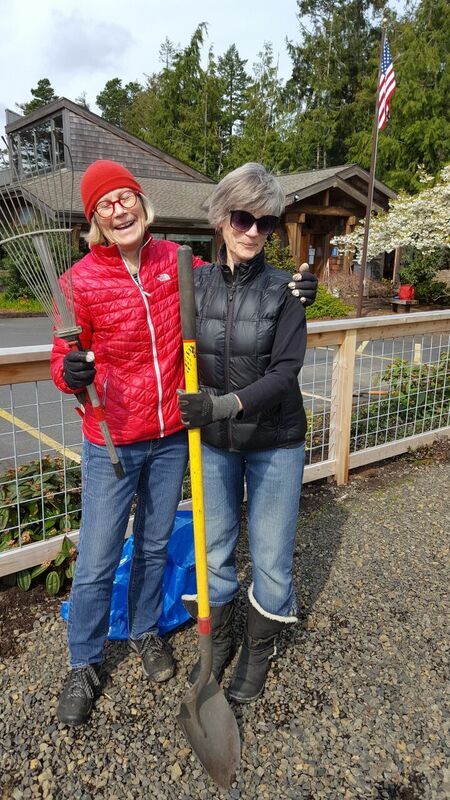 Friends volunteers enjoyed clear skies the morning of April 9 in a two-hour-long effort to spruce up the library garden and plant a few new shrubs. In her pitch to recruit volunteers, board member Karen Babbitt urged would-be participants to “come for the exercise, community and treats.” The fair weather was a last minute and very much appreciated added bonus. 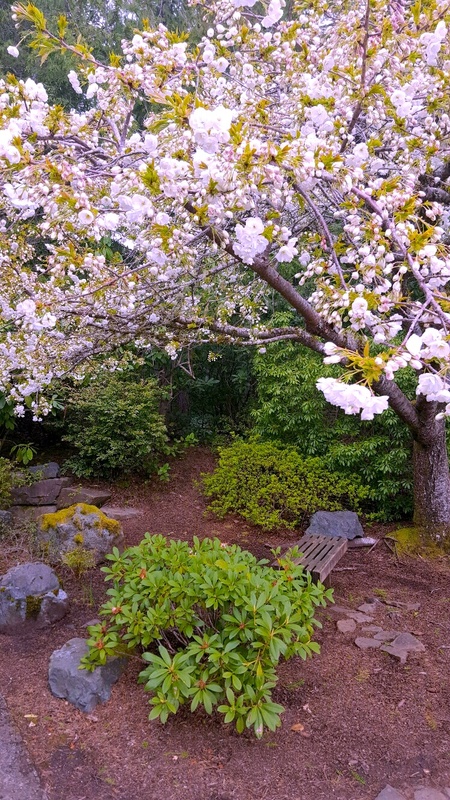 The next garden clean up is scheduled for July 2 from 1:00 to 4:00 pm. Come join the fun and get in on the exercise! April marks the 100th anniversary of the United States entry into World War I and the centenary has produced a feast of new books. Here is a select list of some of the best titles. And…looking for inspiring reading this spring? The magazine Psychology Today recently produced a list of seven books that might – just might – change your life. Here is the list. Measure 29-146 will be on ballots arriving in the mailboxes of Tillamook County registered voters the last week of April 2017. The completed ballots are due to the elections office on May 16, 2017. If passed, the Measure will continue the current tax rate that supports the operations of all of the libraries in Tillamook County, including the main Library in Tillamook, and branches in Manzanita, Bay City, Garibaldi, Pacific City and Rockaway Beach, as well as bookmobile services. If the Measure does not pass Tillamook County libraries will close. The current levy expires June 2017 and provides more than 95% of the funding for the Tillamook County Library system. The rate of $.65 per $1000 of assessed value remains the same as it was in 2007 and 2012 when the last two levies passed. These funds purchase books, provide internet access and free Wi-Fi, pay staff salaries, provide assistance to job-seekers, make electronic media available to users, and bring valuable programs to our communities for children, teens, adults and seniors. The North Tillamook Library (NTL) Friends have a unique and important relationship with the county library system. NTL Friends own the library building and property in Manzanita and shoulder the responsibility for maintenance of the building and grounds, while the Tillamook County library system provides all staff, books, periodicals, Internet access, programs and library services such as interlibrary loan. Libraries in our rural communities open the door to a wider world of information and knowledge and, as the Oregonian has reported recently, at least three Oregon counties have had to confront library closures due to funding issue. We invite you to become informed about the library Measure in advance of the upcoming vote. Oregon boasts a multibillion-dollar agricultural economy that includes industrial agriculture and small-scale efforts such as community supported agriculture memberships, farmers’ markets, and community gardens. These smaller, community-based efforts are on the rise as means to nurture community and create local and autonomous food systems. Are these choices as consequential as consumers would like them to be? 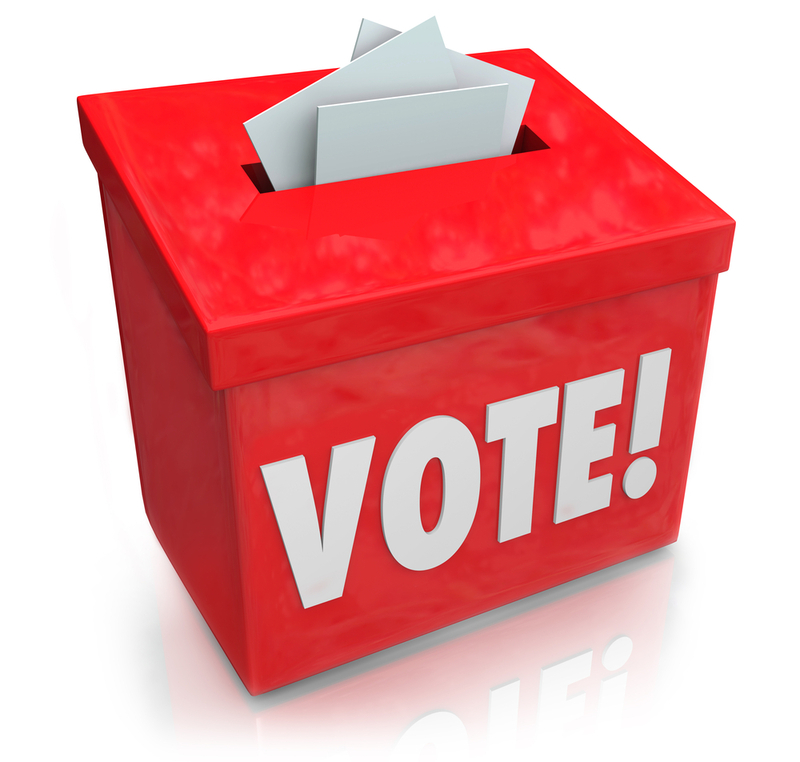 Does “voting with your dollars” significantly shape our agricultural systems? 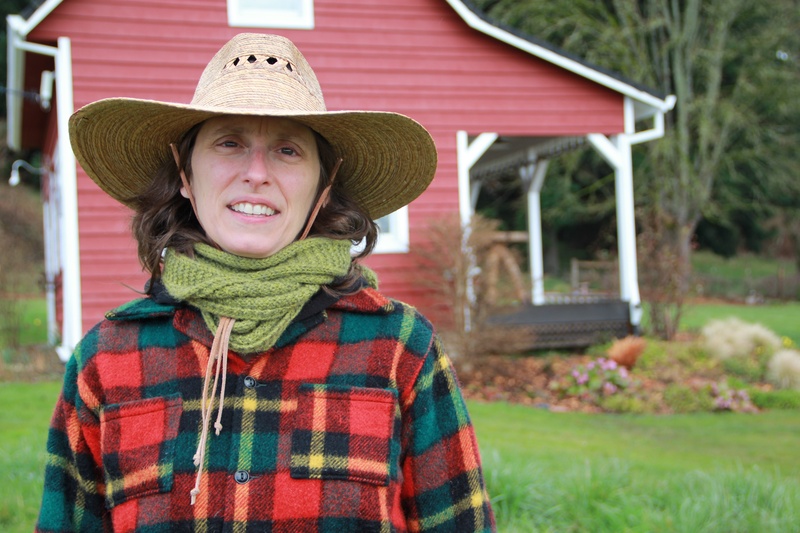 This is the focus of “Good Food, Bad Food: Agriculture, Ethics, and Personal Choice,” a free conversation with Kristy Athens on Wednesday, April 19, at 3:00 p.m. at the North Tillamook Library. This program is hosted by the Tillamook County Library and sponsored by Oregon Humanities and is free. Athens has an MS in food systems and society from Marylhurst University (2015) and is the author of Get Your Pitchfork On! : The Real Dirt on Country Living. Her food systems work includes presenting at conferences at Chatham and Yale universities, a TEDx Talk, and a chapter in the anthology Food Justice in US and Global Contexts. She lives in Wallowa County, where she works at the NE Oregon Economic Development District as outreach specialist and serves on the board of the Wallowa County Farmers’ Market. For more information about this free community discussion, please contact Bill Landau at 503-842-4792 or blandau@co.tillamook.or.us. Oregon Humanities connects Oregonians to ideas that change lives and transform communities. Oregon Humanities is an independent, nonprofit affiliate of the National Endowment for the Humanities and a partner of the Oregon Cultural Trust. Two writing workshops in one day will take place Saturday, May 6, at the North Tillamook Library in Manzanita. A 2017 Oregon Book Awards Author Tour Event, “Writing the Personal Essay” takes place from 10 a.m. to 12:30 p.m. Taught by Marsha Grover, this informal creative writing workshop is suitable for adults with all levels of experience. The second workshop, “How to Tell Your Personal Story,” begins at 1 p.m. and is presented by Story Warrior Gideon For-mukwai, an award-winning speaker and international trainer with experience from 20 countries. The workshops are free but space is limited. To register, email susan@literary-arts.org or call 503-227-2583, ext. 107. 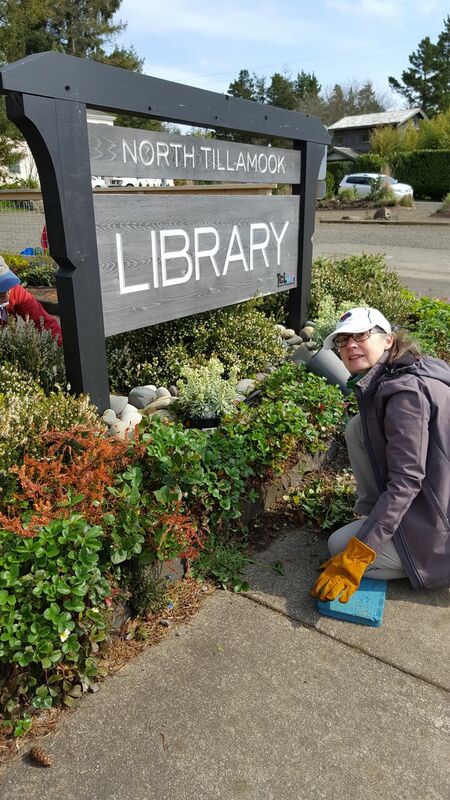 The North Tillamook Library Friends has been awarded a $3,000 grant from the Tillamook People’s Utility District (TPUD). The Community Support Grant will be used to help with the upgrade of exterior and bathroom lighting as part of the Library’s 2017 renewal projects. Total cost of the library’s project, which also included the recent installation of anew retaining wall, outdoor electrical upgrades, and landscape maintenance is $10,500. The grant, coupled with budgeted funds of $2,500 and a $5,000 Spirit Mountain grant warded in 2016, will cover the cost of the project, which is part of the library’s five-year (2017-2021) maintenance plan to assure that the library and grounds are kept safe and attractive for the community’s constant use. It’s a sure sign of spring… the annual Memorial Day Weekend. This year’s sale will take place Friday, May 26, and Saturday, May 27. And, there’s still time to donate books if you’re so inclined and to volunteer for the sale itself. Books, excluding encyclopedias, textbooks and sets, such as Time-Life and Readers’ Digest sets, can be dropped off at the library during regular business hours. For the sale itself volunteers are needed to unload the books at the two sale sites, and to assist during the sale. If you would like to help out with the sale, please contact Ann Morgan, 503-368-6595, or morgnann1950@gmail.com. For a look at the minutes of the March 18 meeting of the North Tillamook Library board click here. The North County Library grounds were recently upgraded with a new, environmentally friendly, pre-cast stone retaining wall at the north property line. 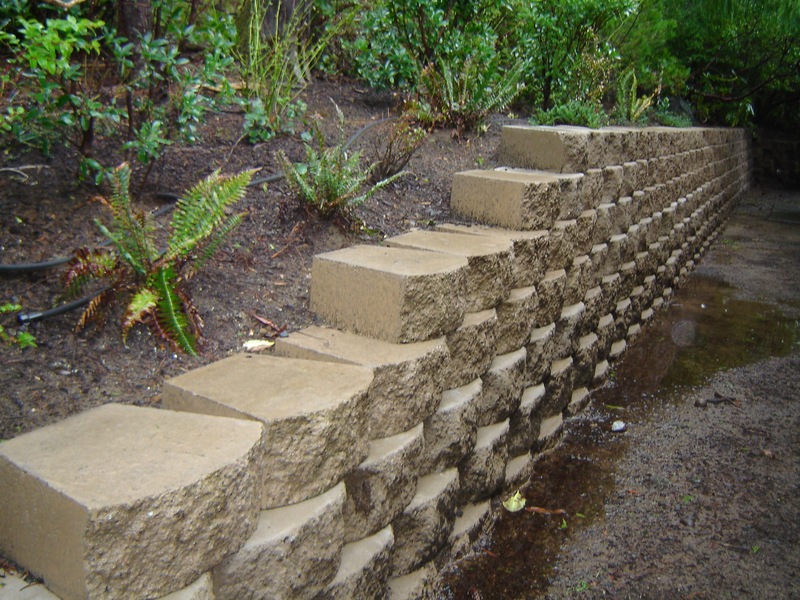 This wall replaced a rotting wall originally fabricated of creosote-laced railroad ties. Next up is an upgrade of the outdoor patio area located at the southeast corner of the library building. Ann Morgan, coordinator of the upcoming annual NTLF Memorial Day weekend book sale, wants your books… gently-used books that is for the 2017 version of the library’s main fundraiser that will take place Friday, May 26, and Saturday, May 27. “It’s a yearlong effort sorting and categorizing donated books,” said Morgan, who has served as book sale coordinator the past four years and been a Library Friend for nearly 25 years. Right now the library has 219 boxes of donated books for this year’s sale, an amount on par with previous years at this time, according to Morgan. Volunteer book sorters have been busy pretty much on a weekly basis since the last book sale just to keep up with the influx of donated books. Books, excluding encyclopedias, textbooks and sets, such as Time-Life and Readers’ Digest sets, can be dropped off at the library during regular business hours. The New York Times recently offered some suggestions for “spring reading.” Here’s a link to the list, including a couple of titles of both fiction and non-fiction. And a while back The Washington Post compiled a list of some of the very best books on American presidents. Find that list here. The North Tillamook Library has a long list of upcoming programs and events including movies, discussion programs and adult coloring. Check out what will interest you here.